Values are the essence of who we are. Values are principles that you hold to be of worth in your life. Values are those things considered right, worthwhile, and desirable – the basis of guiding principles and standards. Examples of values are: honesty, integrity, adventure, tranquility, freedom, community, social responsibility, authenticity, loyalty, zest, pleasure, to name a few. Most people have 4 – 6 core values around which they live their lives. ‘Crystal’ or core values’ are those values that are so important that if not present in your life will cause your life to shatter. Think of what would happen if you dropped a crystal ball. ‘Rubber values’ are those values that you can drop for awhile with no problem and will come bouncing back when necessary. Think of what happens when you drop a rubber ball. There are a couple of exercises that can be helpful in determining your core values. Looking Back in Time (adapted from the “Mindful Self Compassion Teacher Guide” by Germer & Neff) – think of yourself in your elder years. You’re sitting in a lovely garden as you contemplate your life. Looking back to the time between now and then, you feel a deep sense of satisfaction, joy and contentment. Even though life hasn’t always been easy, you managed to stay true to yourself to the best of your ability. Which values were in place during your life? A Peak Moment in Time (adapted from “Co-Active Coaching” by Whitworth, Kinsey-House and Sandahl) – think of a peak moment in time that was especially poignant, rewarding or meaningful. What was happening, who was there? What were the values that were being honoured in that moment? 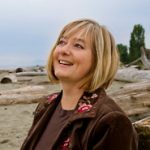 Out of Balance – think of a time in your life that you felt out of balance, a sense of dissonace or disconnect, now ask yourself, during this time of my life was I living in accordance with my core values? What value may have been missing or out of balance? Why would one wish to know their core values? Values are who we are, they are what make us unique. ‘Our values serve as a compass, pointing how to be true to ourselves’. As we live be our values, life is enriched and fullfilling. Also, research has shown that affirming our core values enhances self compassion. The Yin of Values Clarity … How can a mindful self compassionate approach help? Values clarity is helpful in being able to answer the question ‘what do I need right now in this moment’ as well self compassion can help you ‘feel safe and confident enough to take new actions, or risk failure, or let go of things that aren’t serving you’. 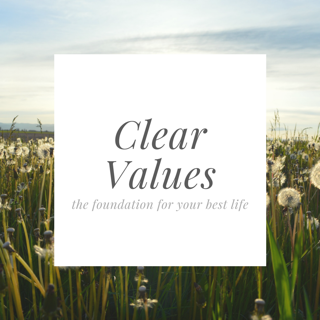 The Yang of Values Clarity … Having clear values gives you a personal framework for making decisions, taking forward movement and assessing dissonance in your life. Current research supports that clarity around values and beliefs is one of five practices involved in sustained positive health behavioural changes. Bringing kindness and compassion to the whole process softens and allows us to remember that we are perfectly imperfect and forgive ourselves along the way.